BR Electric Locomotive, Bo-Bo, no 26020, 1951. This electric locomotive was built for British Railway and ran on the Manchester-Woodhead- Sheffield route. 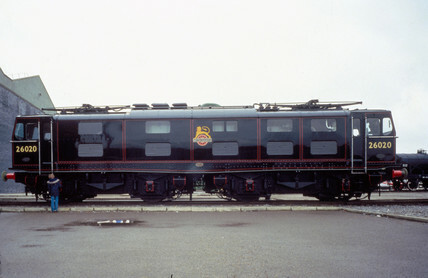 It was withdrawn from service in 1977.